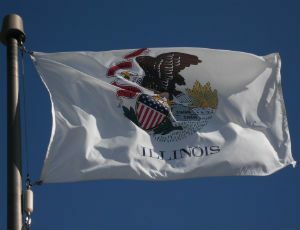 Hey kids, it’s the 200th birthday of Illinois! It won’t really happen until December 3, but you can party all year long. Illinois: This book will give you an overview of our great state and its culture. Illinois: What's So Great About This State? : This book aims to give you the reasons why. Chicago and the State of Illinois: The perfect book for your Illinois trivia party! The Illinois Chronicles: A complete history of Illinois from beginning to bicentennial. Uniquely Illinois: If you aren't yet convinced, this books makes the case for why our state is so interesting! Check out Histories for Kids for trivia, history, birthday countdown clock and other cool stuff! Explore Illinois with the definitive authority on exploration, National Geographic Illinois! The whole family can celebrate the Illinois Bicentennial with activities all around the Prairie State.